The NIH recently award $55 million to support projects of the Precision Medicine Initiative (PMI) to further build out the research and data infrastructure needed to recruit the 1-million person research cohort targeted for the project. Separately, the FDA issued two draft guidance documents aimed at providing a framework for developers of in vitro diagnostics on validation techniques and how to support clinical claims for IVDs. The $55 million commitment from NIH will support four projects, including a Data and Research Support Center designed to acquire, organize, and provide secure access to what the agency said will be one of the world’s largest and most diverse datasets for precision medicine research. Vanderbilt University Medical Center, the Broad Institute, and Verily Life Sciences (formerly Google Life Sciences) were awarded a contract to oversee the Center, which also intends to provide research support and analysis tools for researchers ranging from investigators at research institutions and companies to citizen scientists. Vanderbilt and Verily were selected in February to run the Cohort’s pilot phase. Another project to be funded by NIH is a Participant Technologies Center designed to support direct enrollment of patients in the Cohort. The agency has selected The Scripps Research Institute in La Jolla, CA, and Vibrent Health of Fairfax, VA, to run the technologies center, along with Sage Bionetworks, PatientsLikeMe, Walgreens, and other partners. The Center will also develop, test, maintain, and upgrade the Cohort program’s mobile apps, through which the program plans to enroll, collect data from, and communicate with patients. NIH also said it will build a network of Healthcare Provider Organizations (HPOs) to ensure patient diversity by geography, ethnicity, race, and socioeconomics. The network is envisioned to include regional and national medical centers, community health centers, and medical centers operated by the U.S. Department of Veteran Affairs (VA). The VA will help enroll participants directly into the PMI Cohort Program. Over the past 5 years, the White House said, more than 490,000 veterans nationwide have agreed to donate data through the Million Veteran Program launched 5 years ago. Northwestern University, with partners University of Chicago, Ann & Robert H. Lurie Children’s Hospital of Chicago, Alliance of Chicago Community Health Services, and University of Illinois at Chicago. NIH has also chosen another six community-based HPOs that reach underserved areas and populations—or Federally Qualified Health Centers (FQHCs)—for a pilot program to determine infrastructure needs so that more FQHCs can participate in the Cohort program as HPOs. The six are: Cherokee Health Systems, Knoxville, TN; Community Health Center, Inc., Middletown, CT; Eau Claire Cooperative Health Center, Columbia, SC; HRHCare, Peekskill, NY; Jackson-Hinds Comprehensive Health Center, Jackson, MS; and San Ysidro (CA) Health Center. A fourth project supported by the $55 million was announced in May, when NIH chose Mayo Clinic to build the PMI Cohort Program Biobank, designed to support the collection, analyses, storage, and distribution for research use of biospecimens. 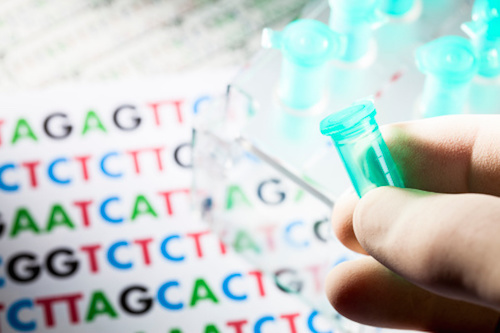 In addition to the NIH announcement, the FDA has published two draft guidances designed to provide flexible and streamlined regulation of genomic tests using next-generation sequencing (NGS) technology. The first guidance draft, “Use of Standards in FDA’s Regulatory Oversight of Next Generation Sequencing (NGS)-Based In Vitro Diagnostics (IVDs) Used for Diagnosing Germline Diseases,” offers recommendations for designing, developing, and validating NGS-based tests for rare hereditary diseases and addresses the use of FDA-recognized standards to demonstrate analytical validity. The second guidance draft, “Use of Public Human Genetic Variant Databases to Support Clinical Validity for Next Generation Sequencing (NGS)-Based In Vitro Diagnostics” guides how test developers can use clinical evidence from FDA-recognized public genome databases to support clinical claims for their tests and assure accurate clinical interpretation of results.